Gerrit Thomas Rietveld designed the first crate furniture in 1934 as a do-it-yourself package. Designing an affordable and comfortable piece of furniture was always an important goal for Rietveld. This is what the crate furniture was to him. The Junior Crate Chair is a smaller (children's) version of the original introduced in 2004. The chair is packed flat in a gift box and is easy to assemble. In addition to being a robust piece of furniture in the kid's bedroom, this sturdy children's chair is also a contemporary witness to the history of furniture. The chair is made of solid beech wood and is available in clear lacquer as well as in opaque black or red. 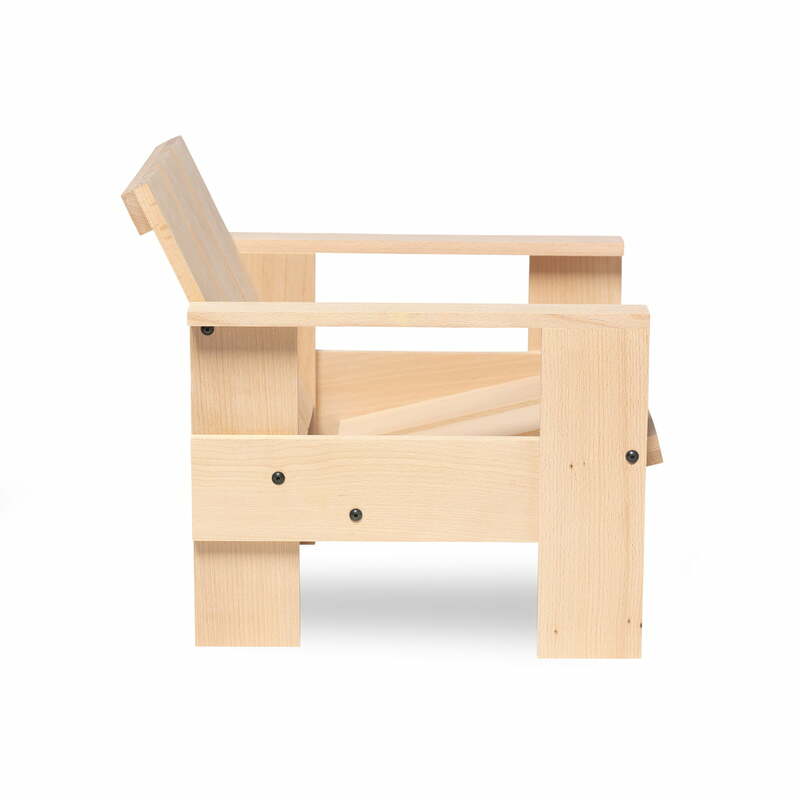 The Gerrit Rietveld Junior Crate Chair in natural by Spectrum. Still today, the chair is packed flat in a gift box and is easy to assemble. Isolated product image of the Gerrit Rietveld Junior Crate Chair in black by Spectrum. 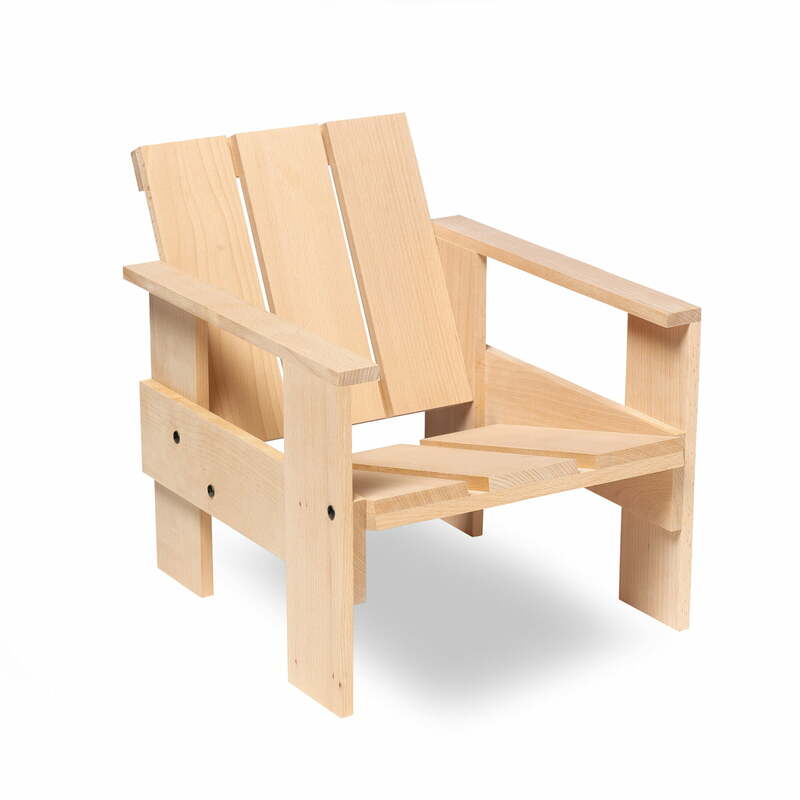 The Junior Crate Chair, a box furniture in a children's format, was manufactured according to the original design in 2004. 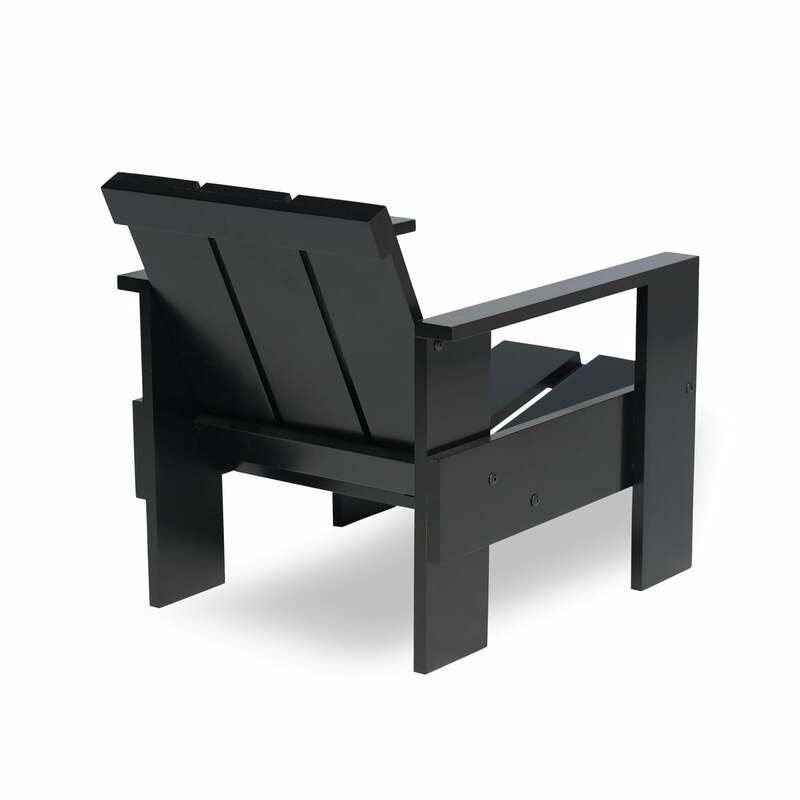 Back view of the Gerrit Rietveld Junior Crate Chair in black by Spectrum. In addition to being a robust piece of furniture in the kid’s bedroom, this sturdy children's chair is also a contemporary witness to the history of furniture. 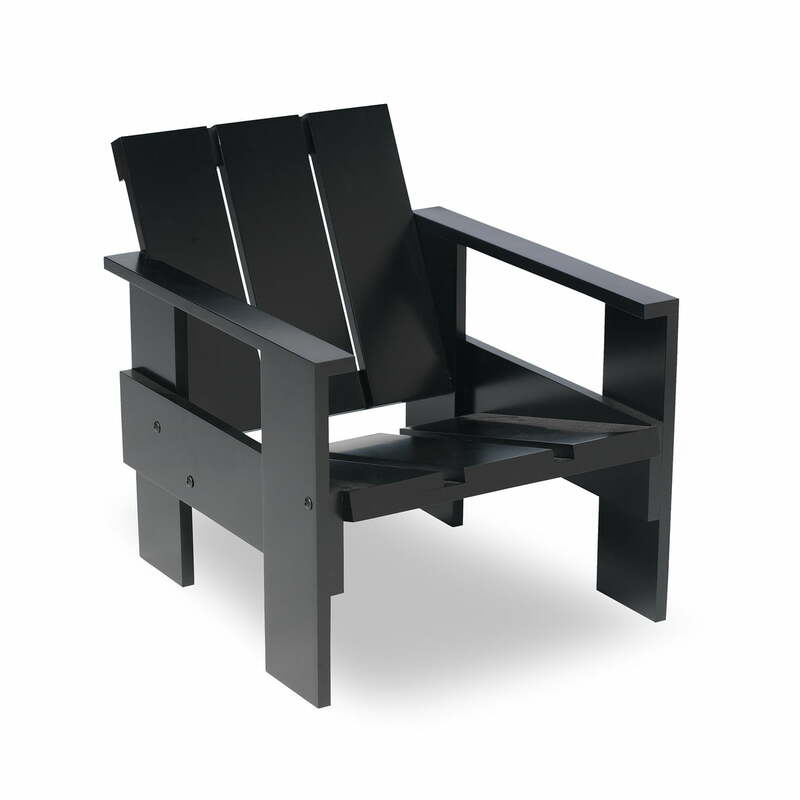 Side view of the Gerrit Rietveld Junior Crate Chair in black by Spectrum. In addition to being a robust piece of furniture in the kid’s bedroom, this sturdy children's chair is also a contemporary witness to the history of furniture. 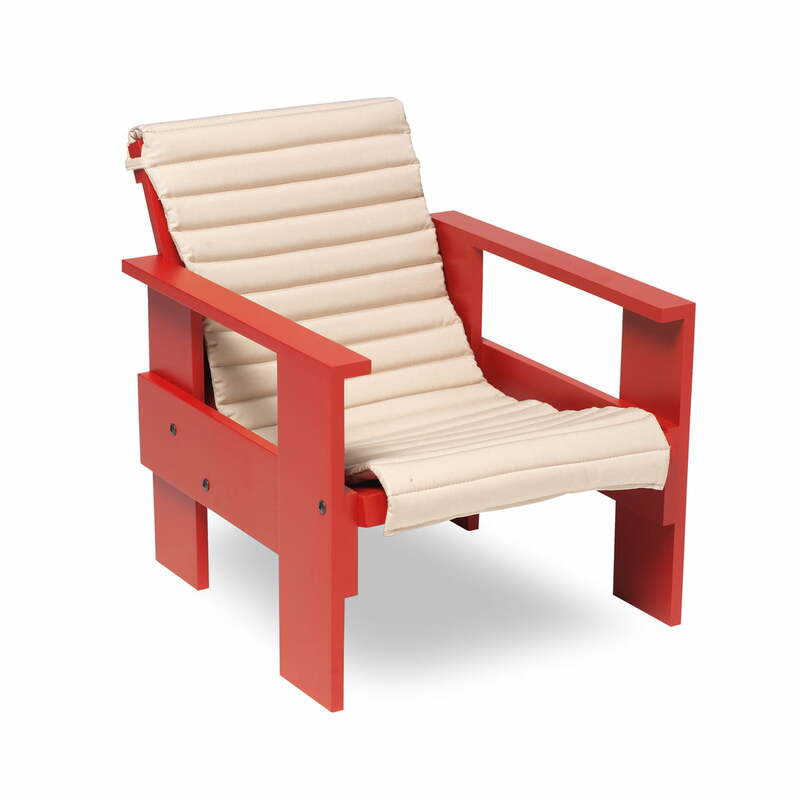 The Gerrit Rietveld Junior Crate Chair by Spectrum in red with matching padding. The chair is made of solid beech wood and is available in clear lacquer as well as in opaque black or red. 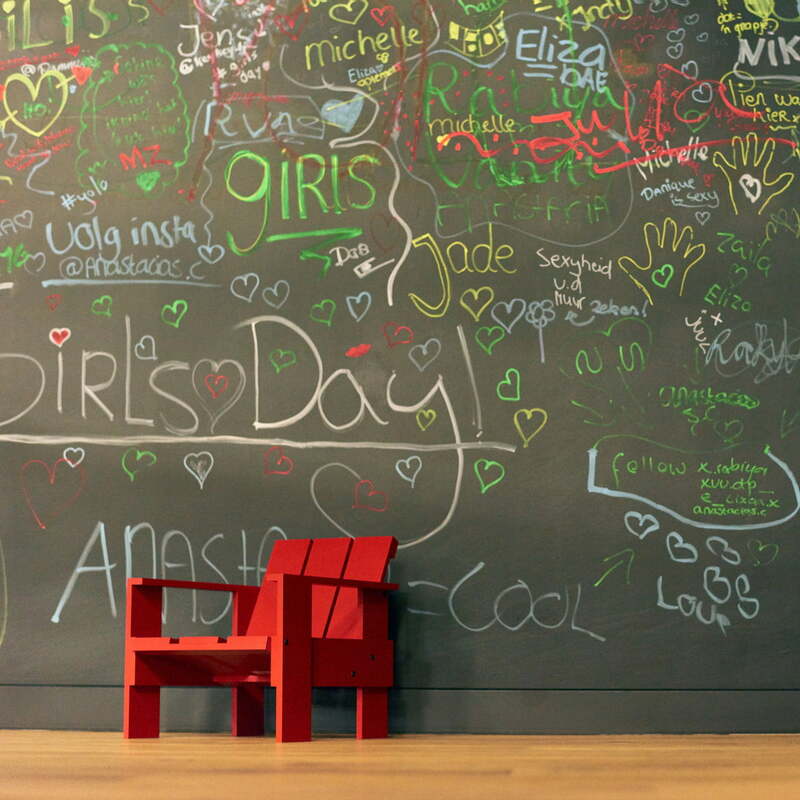 The box Chair by Gerrit Rietvelt for children manufactured by Spectrum in an ambient setting. The Chair comes in a beautiful gift box and is easy to assemble.